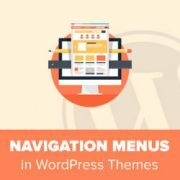 Do you want to add custom navigation menus in your WordPress theme? By default, many WordPress themes come with pre-defined menu locations and layouts. 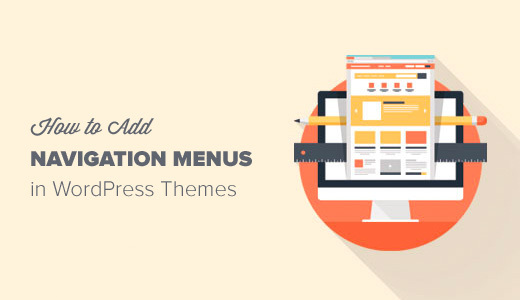 In this article, we will show you how to add more navigation menus in your WordPress theme. When Do You Need this WordPress Navigation Menu tutorial? Most WordPress themes come with at least one spot where you can display your site’s navigation links in a menu. You can manage menu items from an easy to use interface inside your WordPress admin area. If you’re just looking to add navigation menus on your website, then follow our beginner’s guide on how to add a navigation menu in WordPress. This tutorial is geared towards DIY users who are building a custom WordPress theme or someone who needs to add additional menu locations to an existing WordPress theme. 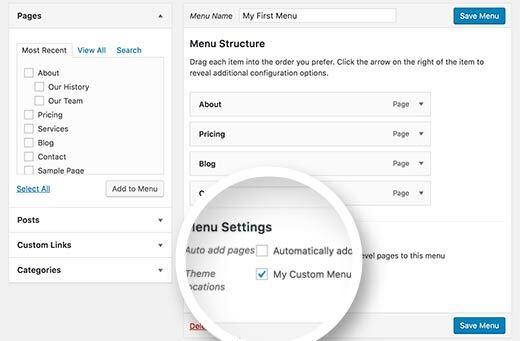 Having said that, let’s take a look at how to add custom WordPress navigation menus in your theme. Navigation menus are a feature of WordPress themes. Each theme can define their own menu locations and menu support. To add a custom navigation menu, the first thing you need to do is register your new navigation menu by adding this code to your theme’s functions.php file. You can now go to Appearance » Menus page in your WordPress admin and try to create or edit a new menu. You will see ‘My Custom Menu’ as theme location option. Once you have added the menu location, go ahead and add some menu items in the WordPress admin by following our tutorial on how to add navigation menus for beginners. This will allow us to move on to the next step which is displaying the menu in your theme. Next, we need to display the new navigation menu in your WordPress theme. The most common place where navigation menus are usually placed is in the header section of a website just after the site title or logo. However, you can add your navigation menu anywhere that you want. You will need to add this code in your theme’s template file where you want to display your menu. The theme location is the name that we selected in the previous step. The container class is the CSS class that will be added to your navigation menu. Your menu will appear as a plain bulleted list in your website. If you need further assistance with the CSS and menu layouts, then we recommend using one of these WordPress starter themes to build out your custom themes. With the increase in usage of mobile devices, you may want to make your menus mobile-friendly by adding one of the many popular effects. You can add a slide out effect (above), dropdown effect, and even a toggle effect for mobile menus. We have a detailed step by step guide on how to make mobile-ready responsive WordPress menus. Navigation menus are a powerful web design tool. They allow you to point users to the most important sections of your website. WordPress allows you to do a lot more than just displaying links in your menu. Try these useful tutorials to extend the functionality of navigation menus on your WordPress site. That’s all, we hope this ultimate guide helped you learn how to add a navigation menu in WordPress. You may also want to see our list of 25 most useful WordPress widgets for your site. why can’t i see the menus page of my website? Hey! I completed the tutorial and I’ve been able to add the menu to my desired location on my site. I’ve styled it and everything. PROBLEM: The menu appears on page refresh for a moment I can even click it! However, it quickly disappears behind my header. It’s not clickable after it disappears. My brain’s exploding trying to figure this one out!! Just one ques : what should I do with the existing navbar of WordPress . How to delete it. Hi, Friend of mine has a problem, well several, she has the horizontal header nav bar but also a vertical one next to it which is obscuring the page content , it appears when you start to scroll on the home page but is fixed on all the content pages.. can someone look please and advise, also there is an error notice we can´t find how to get rid of, any help please appreciated. I have a custom header built for wordpress when had menu items hardcoded, How can i use the wordpress menu in the header instead of the hardcoded menu ? I am fairly new to wordpress however I would like to edit a custom menu that we have created as something appears wrong within the menu. Helpful article. I am a WordPress user and this tips will help me to add custom navigation menus. Thanks for sharing. Great tutorial. How can I apply CSS to this custom menu? Though this is a great way to add multiple menus but without proper CSS the website look odd. I m creating my word press theme but menu and widget is not showing in admin panel ??? How can I make my drop down menu into columns? My current drop down is too long. I’m little bit advanced user. My theme supports only one menu. But I want to add one more menu. I have made it but how can I add? First you will need to register the menu location, then you will need to edit your theme files to display your navigation menu. Awsome, tutorial, it really helps a novice like me. Thanks for the article!!! I created my new menu. My website has a fixed width, and when I resize the window everything stays in place, exept for the new menu. Min-width is not an option because it’s not exactly the behavior I want. 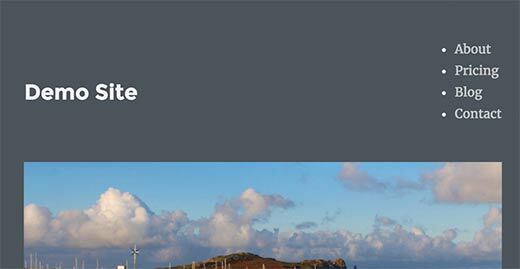 How can I make it behave the same way as the rest of the contents of the page? THANKS! I was looking a long time for this, never thought it was so simple. i have a crazy old theme that didnt support WP 3.0+ menus. This tutorial was so easy. Took me 3 minutes to bring it a little more up to date. thanks so much. Thanks for the tip! Great tut! Where do you even go to make these changes? I can’t see any of those options under the Theme or Theme Options tabs. Most themes do support this. Look at Appearance > Menus. This article is for theme designers who want to add this feature in their themes to allow users to add menus from the backend. I’ve been trying to add a custom class to a singular custom url (to change the color of just one url) in the Top Nav Menus section, but it just adds my class as an extension of the existing class in the output source code and nothing happens. Yes add it like color: #ffff00 !important; in that class. This should do the trick. I was able to implement these modifications and the custom menu works. However, the css in my chosen theme doesn’t seem to support sub-menus. The submenu item is always visible, mousing over the parent item does nothing, and the parent menu item is as wide as the wider child item which pushes the other menu items farther to the right than they should be. Any suggestions on making the sub-menu act dynamically? I’m fairly new to CSS. The best place to start would be to take the default Twenty Eleven theme. Use the navigation CSS from there, and start modifying. Still looking for a solution for this. Follow all steps, but in Apparance Panel the option menu not enable. When select other theme working. How do enable option menu? That is very helpful me although wordprees 3.3 version released few days ago. I have followed the instructions and this post and the post here (https://www.wpbeginner.com/wp-tutorials/adding-a-second-menu-to-the-twenty-ten-theme/), and figured out how to get my CSS to make the menu appear correctly, but the child items (sub menu items) are not appearing. I have them set up correctly in the menus editor, but on the site they do not show. They are not hidden by CSS because they are not there in the source code of the page. Any ideas why my menu sub-items are not showing? I have added the custom menu in top navigation but want to know how can I active the “Current Page Class”. Thank you! Love how this is all dynamic so the client can edit if needed, plus able to state which is the current page and apply hover effect! EXACTLY what I was looking for! I have tried this many times. I have an old wordpress theme. So old I’m not even sure what version of wrodpress it was written for. Anyway, I can get the functions part to work. I can save the correct menu. I can put the code into other parts of my website, say the footer, although it displays as a hierarchy list and not horizontally. Won’t display in the top nav menu. Do I need a new theme or is it possible to edit my current theme to allow the new menu function? I implemented this with NO problems-thank you! I took the “nav menu” code and put it in the div where my client’s theme was calling the list of pages. I basically replaced it with your code from above and uploaded it, and the css kept it in the same style. It looks great and functions perfectly. AWESOME! I really need help implementing the CSS of the classes, so please notify when u finish! I have implemented as above and my menu items are showing on site only problem is that each page is empty?! Sounds like a PHP error. Please validate your PHP to make sure there is no error. Quick and dirty – the way I like my code snippets. Thanks a bunch. I have created custom navigation menus a couple of times. What is weird is that after I create and save them, they appear for a while and then the navigation bar returns to 2 tabs only as if the settings are automatically overwritten. On sites with the same template were I never created a custom bar they display correctly. Nope, no clue why it is doing that. You can define custom classes to each navigation, and then add image in the background. You can even use CSS (text-indent) property to get rid of the Menu text if you want. is there any way to add the image to the list of navigation menus..
thanks for your response but i need more clearly that custom menu image for the wordpress. Yes it is possible to add different images with the custom menu. The one you are using is not the menu that we are talking about in this article. Can you add code to make it look more presentable (fonts, buttons, size, etc)? If so, can you give me an example and where to put this code? Thanks! That is a CSS related question. You will have to add the font size in the appropriate classes in the CSS file. We will be doing a writeup on the CSS styles soon. Question about the menu handling. I have a menu that is right aligned, so the menu items show up in reverse order. Is there a way to sort the menu_order in REVERSE? so: sort_column’ => ‘menu_order’ would have something added to reverse the order. Just because they are right aligned, shouldn’t make it appear in reverse order. To fix that, you need to change your CSS rather than reversing the hook. Make a container div that is aligned right, and then make the list tags float left. Have followed instructions but after creating menus and adding appropriate categories to use, I can’t see them in my nav bar – any ideas what I have done wrong? Have you pasted the codes in your header.php or wherever that menu should appear? Certainly a thing that you should have when releasing free themes, but for custom themes it all depends on what you need. Sometimes you don’t have to register locations. i’m soooo not following … could u be more clear where i would plug this code (add_theme_support( ‘menus’ );) into the functions.php file? Somewhere within the php tags. If you do not have PHP experience, we recommend you hire a professional. If you are going to write articles for newbies, it follows you should answer simple questions. Otherwise, just pay for ads to push your business and save the pretense. @BanyanTree Adding codes to functions.php file is not that hard. You paste it within the php tags. We have written an articles like this:https://www.wpbeginner.com/beginners-guide/beginners-guide-to-pasting-snippets-from-the-web-into-wordpress/ But its just impossible to link to that one article from all of our articles. When someone asks you how do I change the background in CSS and you tell them that you add background: #000 or another hexcode in the CSS property thats help enough.Now if they ask where in the CSS file I paste that, then that is something you need to know before hands. This site is not a PHP for Dummies site or CSS for dummies site. We do our best to help as much people as possible for FREE. @wpbeginner@BanyanTree You don’t need to link to articles, no one asked for that. Three words answers his question; “at the end,” which is easier to type than a snide remark. Keep in mind, you named your site; “wpbeginner,” and if that’s the audience you seek, cater accordingly. @f1mktsol Yes and the site has grown beyond the audience we initially started with. This site has evolved. That is why we have categories… The word “beginner” is being used on a relative scale. We have articles for Very Newbies who are just users in our Beginners Guide Category… We also have articles in our WordPress plugins category that are catered to that audience.If you are in our WP Themes category, then the articles are written for beginning theme developers. They are beginners in the developer area. Same with the tutorials. @wpbeginner If you’ve outgrown your name, you should change it to suit the audience you seem to prefer. Consider consulting a professional. and saw no option in the admin panel [where do i look?] I’m using intrepidity theme. I’m a noob, so it might be right in front of me and don’t know the difference. I have a website that has a WP inside it and want to be able to navigate out of WP and back to my main URL. All I need is a “Home” nav link. It should show under Appearance Tab. friend you have an awesome site and I am glad i’ve found it! I was killing my head to figure how to add the costum menu and it was easy after i’ve seen this! Simply amazing. Best regards and keep the good work mate! Do a search, we already have a post about that. You don’t need to have two set of functions.php… Just call the main function. Create multiple menus using the user interface in wp-admin. Then you would have to call the menus in the php code. @Jamie: Thanks for that latest remark!